If you want a quick and effective boost to your smile, and with it your self-confidence, teeth whitening may be the perfect cosmetic dental treatment for you. 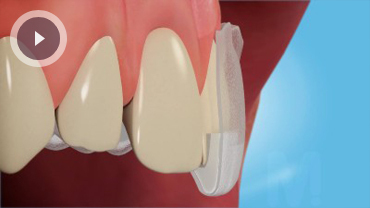 It is a very popular procedure and, when carried out by a qualified dental professional, is entirely safe. It can be a great way to treat yourself, or to give yourself an extra confidence shot before a special family occasions or business event. The most important thing to remember when considering teeth whitening treatment is that you should always consult a qualified dentist. While it is possible to buy kits over the counter or from the internet, they may cause damage to your teeth, from increased sensitivity to more serious dental health problems. Tooth whitening treatments available at dental practices are tried, tested and safe. At Park Lane Dental, we use the renowned Enlighten home tooth whitening system. This system uses tooth whitening gel and custom-made trays that are specifically created for each individual patient, so they fit your mouth exactly. For treatment with the Enlighten system, you will need to come into the practice so we can make sure you are suitable for tooth whitening, and so we can take measurements and impressions of your mouth for your trays to be created. The majority of patients are suitable for home tooth whitening, but if you have any underlying dental conditions these should be treated first. You will be called back to the practice once your trays have been made up, and your dentist will show you how to use them. You place a small amount of gel in the trays and wear them overnight for the period prescribed by your dentist, which is usually about two weeks.